Growing your budding business into a successful one is becoming tougher day-by-day. The competition is heavy. You bring a product into the market and your competitor will bring a better offer denting your business prospects. Management is forced into several brainstorming sessions for rethinking marketing strategies, growth plans, and especially product creation. Ameliorating your business into a successful path and making a strong digital presence is indeed challenging these days. A survey conducted by Harvard Business most people like to purchase products or avail services from top companies or select websites based on their “trustworthiness”. When customers feel safe, ease and comfortable then they would stick to the particular channel from where they purchase regularly. We are living in the era of fourth industrial revolution. Industry 4.0 is making rapid strides in every sphere of activities. Everything is turning smart. By using artificial intelligence websites can become more efficient. Machine learning, Chat bots, Personalization, and many more are gaining popularity. Application of artificial intelligence will increase the performance of website to the maximum and make it suitable for giving attraction on web pages. Artificial intelligence also helps in drawing customers. Users would get the complete services that could be visualized for acquiring appropriate information. Videos are more likely to be watched. It is more popular than loads of text which people have to strain to read and understand. Some people watch videos quite extensively. So for them you need to take website design to the next level. Creating a quality video landing page will draw visitors to your site. You can create an immersive video which would auto play on the homepage so when users access the website then they could conveniently play and watch the videos. Choose the services of a professional website designer for good quality videos which can be streamed on the site. Parallax scrolling is one fine option for single page website designs that could easily render complete information. Digital experiences have improved a lot with modern technology. With technologies such as these it would be possible to attract more customers to buy your products. In today’s age of World Wide Web and smart phones websites, online marketing and e-commerce is an integral part and parcel of any business strategy. 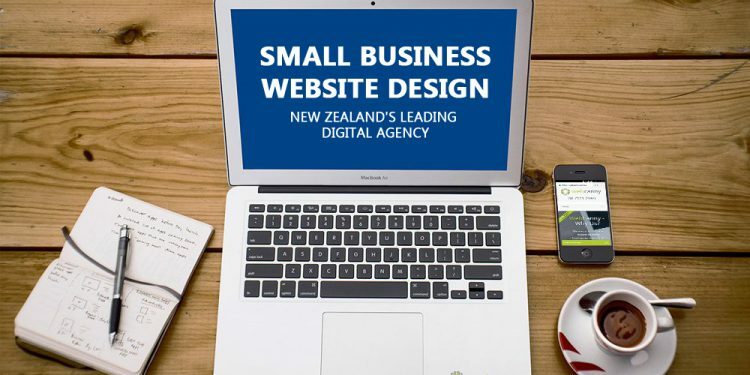 Large business establishments have it easy as they have the capital to do so but small businesses website that are less on capital and market funds also need to have web designers for putting up their business online. This will enable them reach a greater clientele and create bigger circles. 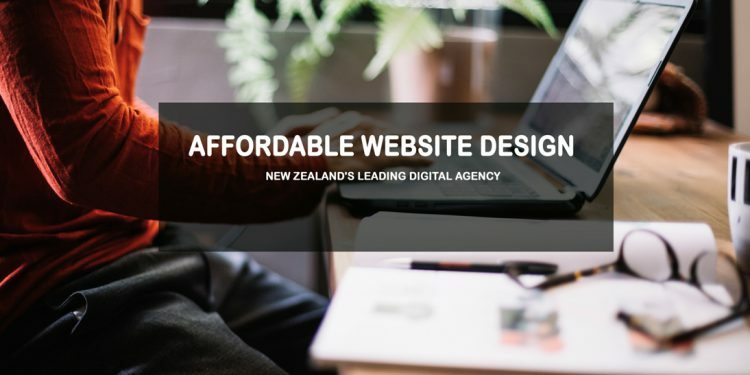 Website promotion has really kicked off well in New Zealand in recent years with businesses communities realizing the potential of internet and the returns that they will be able to generate through advertisements and social media. So what are those essential elements that work wonders for small business websites? Research reveals that visitors spend hardly seven seconds in around 90% of the sites they visit. They mostly click through and leave without spending too much time on reading the content. So you have a tight timeline of seven seconds to convey your reader who you are, what you do, why do you do it, who you do it for, and why you are the best bet. Hence you need to nail your pitch and stay in front and center on your homepage. You need to strike an instant chord with your visitor and convey your core marketing message within those seven seconds. To make this happen you need to have your logo design, tagline, and initial two sentences of your website as clear and crisp as possible. This will go a long way in increasing the credibility of your brand and in creating a positive impact among customers who you are targeting to market your product. There is a lot to be communicated in the very little time that you have and so your pitch must be concise and compelling. 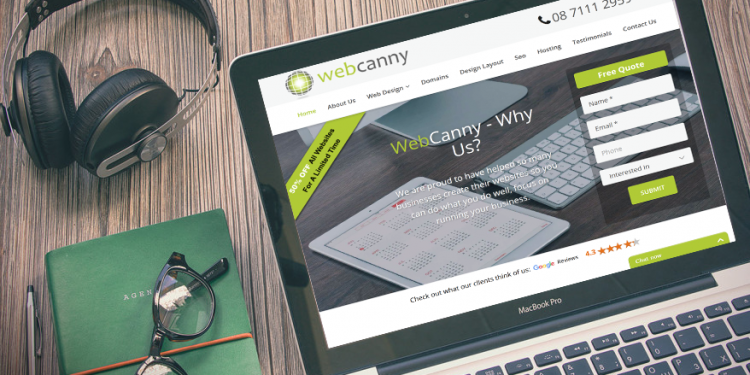 Often small business owners pose one important question: why doesn’t my website convert? The answer is simple. There is a lack of call to actions. Good example of call to actions include having phone numbers, “Buy Now” buttons, or any other subtle actions that would encourage your visitors to move ahead with the next line of actions.Call to actions is a means of engaging your visitors and convert them to buyers of your products. Your website visitors look for specific information regarding the products before they decide to buy. Smart call to actions pre-empt the visitors next step and gently lead them through your website in the way you want them to feel your product and simultaneously giving them the information which they are looking for. One such way is to keep your basic information in order. Place your contact number in the top right of every page. Also place your number in the footer of every page with hyperlinks to your most valuable content. This is more needed for mobile websites where visitors are looking out for contacts so that they could call quickly and decide. This is one area that you tend to overlook. It is very important to track your conversations. Businesses which are small will find it easier to do so. It is extremely important to know the number of business enquiries and the number of business orders that your website is able to generate. It is also important to know which strata of the society do they come from and what is the cost to acquire them. Having this information in hand will enable you to accurately measure your marketing spend, evaluate the success of any improvements or modifications in your website design or online marketing, and additionally measure the underlying success of your website. One primary mistake which small businesses make is putting up an unattractive About Us page which hardly ever mentions about customers. It may seem strange to focus more about your customer than about your company in the homepage but that has got its own valid reasons. You need to create a balance between the personalities behind developing your business as your customers would want to know whom they are working with. They would also like to know what benefit they would derive by working with you. Content is the most essential aspect in your marketing. You need to tell your story in simple and appealing term so that you can reach out to your target market and apprise them of the problems which you would solve for them and how you would do so. Everything should be useful, informative and engaging for your customer whether it is the website or the newsletter which you would be mass mailing. Content is the vital tool reading which visitors will be pulled towards your website and its business. Your content should reflect your design and brand and provide a seamless and compelling experience. High quality content demonstrates the authority over the subject and if you share your content in an intelligent and appealing way then you have already won the battle. Design is the other big element in marketing. Visuals that are aesthetically appealing will make visitors hang around your website for longer duration. Once impressed they would return back and may be even share your sites with their friend circles or on the social media platforms. Neatly designed websites establish the quality and style of the brand and enhances the reputation of your product in the market. On the other hand if your website falls short in design and aesthetic appeal then visitors will more likely presume your website quality to be below standard and this may hurt your business. You need to build your website keeping in view the objectives of your customers and not for yourself. This will draw their interest and improve their interactions with you. You can lead the conversations with your customers asking them questions such as what did they find attractive on your website, how it has been different from others, are they satisfied with the experience, feel and look of the site, did they find what they were looking for, what questions are they hoping to get answers for from your website, and so on. Content should be easily accessible whether it is contact information, product specifications, prices, or any other information. Ideally they should get all this in one place then it would be great. This is the age of smartphones and tablet. Research shows that increasing number of users finds it comfortable to browse sites right in their hands and while on the move. Mobile phone users and tablet users are converting at higher rates than those using desktops. Creating a responsive design will ensure that whatever be the device that is used your website will deliver content in the most effective manner. For websites which are complex in nature building a custom mobile friendly design will be needed. However, ensure that mobile designs are different from the web designs and customers shouldn’t be forced to have a bad experience. Desktop websites will look awkward on mobile phones. It will be difficult to navigate the menus, click links and access other relevant information that the users are looking for. Your website platform is the base. It is the one which will create an impact on your visitors and decide how efficiently you update your content and continue attracting your readers. It is also important for the performance of your website. A robust content management system is essential for an e-commerce website. Otherwise posting content will be useless and it will be also difficult for optimizing search engines and fixing errors. You can partner with an extremely efficient cheap web design company to execute all the tasks that we have discussed in this blog. They will also bring new things on your table in terms of design, content and marketing. 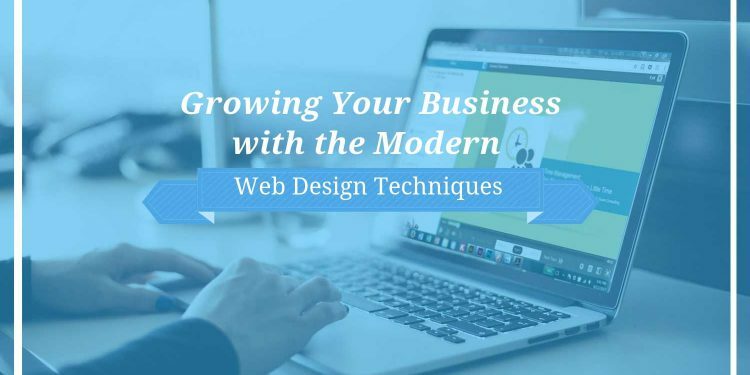 The web designer must be briefed on what you want and you can also take inputs from the designer on any other new aspect that could be added. Look for a service provider which has a comprehensive history and portfolio of working with businesses which are similar to your own. This will ensure that your business could become as successful as theirs in due time. We’re an award-winning affordable web design agency with a for helping small businesses achieve big things online. We’ve been hard at work for over a decade and have built more than 6000 websites for our small business clients. What is the role of an affordable web design? Confused? No matter how you slice it, conversions boil down to the quality content that you put up online. Yes it is true that the visual appeal of your landing page play a vital role in exactly how many visitors you actually convert. The way the visual elements are arranged influence the conversion rates. Also the ads that you use to drive traffic to your website begin the process. Thus your website needs to be more than what a flashy digital brochure would offer. 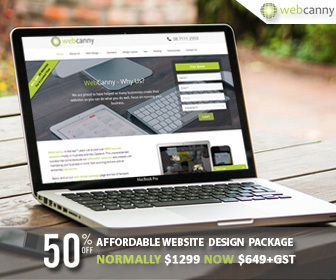 The design of your website enables you to achieve your business goals. If you are in B2B business the design of the website should aid in generating and increasing leads for your business. A good and affordable web design helps you increase content management, lead the conversations with your potential customers and convince them about your business thereby improving your sales. So good website designs help increase money and keeping this in view we are here discussing this subject. Aesthetics play an important role in websites. It gives the first impression to your visitors. A website has around 50 milliseconds to cut the ice with the visitors before they switch on to something else. Excellent photography is one of the best methods to keep your first-time visitor engaged on your site. A clean layout and compelling visuals will do wonders. Good aesthetics lend a lasting impression on your visitors. The positive sentiments which the visitors feel and get on watching your site will eventually turn them into your customer and who knows it could be even a long-term one. Classic aesthetics reveal that your business is built on some solid foundation and it is there to stay for long. Modern aesthetics show that your business is well organized. Finally the designer needs to work for making the website’s aesthetics reflect the best qualities of your business. Visitors will find it easy if your website has clean and logical navigation techniques. How easily and quickly a visitor finds relevant information on your website will go a long way in deciding your business returns. Adding robust search functions and great navigation will ensure you the ease of doing business. It is not just about hosting an affordable website but it is also about having the conversion pathways as they generate healthy leads. The visitor whether a fresh one or a regular visitor must be clear as to where to search. Conversion pathway is determined by a number of factors. It starts with the first impression that a visitor draws from visiting your site. It is then that he gets a perception of your business and what you offer him as he explores a little more. The visitor needs to be aided further through your search facility for which you need easy navigation. Once the visitor lands on the service page he should be able to browse through the entire page very quickly without any hassles. Now everything depends on the design of the call to action. If the visitor was not clear about the call to action it could break the entire chain of lead generation and your purpose will fail. Hence, assure that the clickable buttons and visual cues used are attractive and that the visitor understands them properly so that the conversion cycle could be completed.